Paperless Recordkeeping Raises Questions; We Have Answers. Switching to paperless recordkeeping is a task that shouldn’t be taken lightly. After all, your company documents are a huge part of keeping your business up and running. You want to ensure that the entire process–from planning stages to going live–is executed in a way you’re comfortable with. In an age where many companies are implementing eco-friendly strategies in the workplace, going paperless is one of the ways your company can join this growing movement. As document scanning experts, we know what questions to expect when clients come to us to learn about this process. Our goal is to make our clients feel at ease knowing their company documents are in trusted hands. 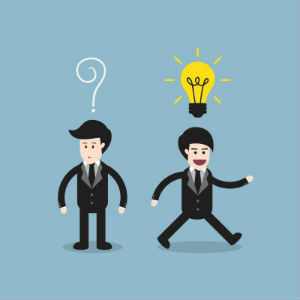 Here are some common questions we’re sure your company will have when switching to paperless recordkeeping. How does the document scanning process work? The process is simple and straightforward. Once we’ve obtained the documents your company wants to scan, each sheet goes through a thorough analysis to remove any paper clips, rubber bands or staples that may be binding sheets together. Our team also inspects each document for folds or creases. This process is crucial to the quality of document scanning, so a great deal of attention is paid to making sure the documents are in mint condition before the transition begins. Once the documents have been prepped, it’s time to get scanning. We understand that some companies worry that paperless recordkeeping may not contain the same quality as a physical document, but that couldn’t be further from the truth. Document Scanning Services LLC uses state-of-the art scanning equipment to produce high-quality scans of your documents. What happens to my company documents once they’ve been scanned? Rest assured that your documents won’t be carelessly tossed into the nearest trash bin once scanning is complete. We know that your information is precious (and, often times, highly confidential). 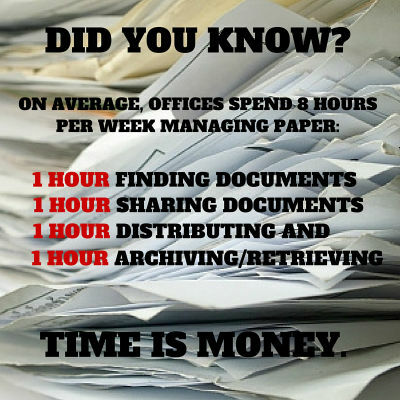 For this reason, we offer document destruction services once scanning is complete. If you’re not quite ready to part with your documents, or if the document must be retained for legal reasons, Document Storage Services LLC can also store your documents for up to 6 months. How will my business profit from paperless recordkeeping? If your office is hit with a disaster, such as a fire or a storm, the documents in your office could get lost in the shuffle. This means you’ll need to replace them (see point #2). These are only a few of the disadvantages of storing paper documents. Luckily, with the help of digital scanning, your company can cut these associated costs significantly, which gives you the opportunity to invest in ventures that are conducive to growth. Will my documents remain organized even after they’ve been scanned? We pride ourselves in helping business nationwide achieve a more productive workflow, and that begins with paperless recordkeeping. To uphold this promise, we offer document indexing services to help keep documents in perfect order even after they’ve been digitized. Document indexing is a popular tool amongst digital document users. Think of this process as a virtual file cabinet where you can obtain any digital document you need by simply searching for it by name. Once your company has experienced the ease of searching for a document hassle-free, it’s hard to imagine running a business without this tool. My documents are saved on microfilm/microfiche files; can those be scanned, too? Definitely. Microfilm and microfiche files were once a go-to for document storage, but there are many risks involved with using these files. The equipment needed to view these kinds of files are becoming progressively harder to obtain, so any little repair or replacement can be pretty costly. This equipment also takes up space in your office–space that can be used for other productive tasks. Our team offers microfilm and microfiche conversion services that handles these files with the utmost care. Once your files have been digitized, you can access the information you need at the drop of a hat, and the files can be viewed in several file formats for increased convenience. Have any more questions? Shoot them our way. We’re always ready to answer any questions that may arise when your business considers switching to a paperless platform. Document Scanning Services LLC offers document scanning services to a variety of industries nationwide. We’ll even schedule a pick-up to have your documents to us delivered safely and conveniently. The paperless recordkeeping process is more than just digitizing your company documents; it’s providing a peace of mind that makes your job easier. Contact us today for a free quote and learn more about how your company can benefit from document scanning.